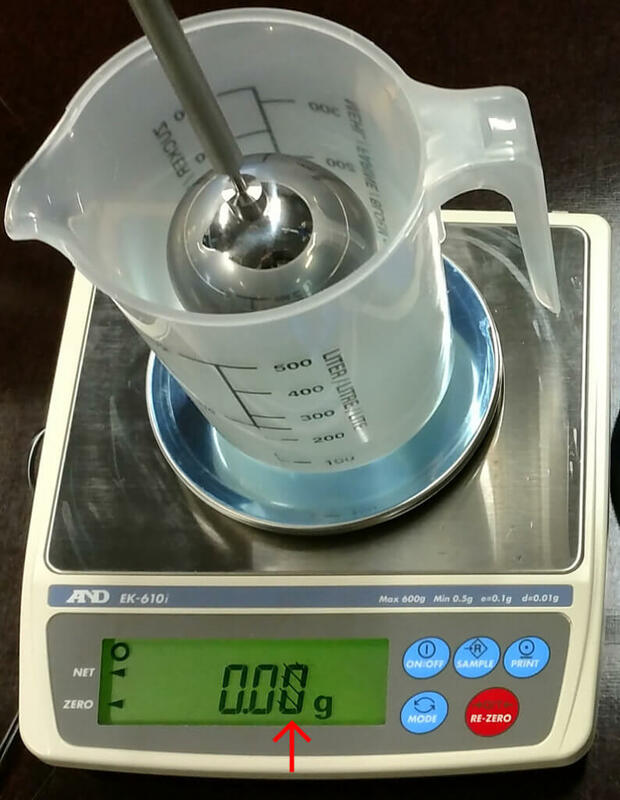 This article describes how you can capture the weight from a weighing instrument with differentiated digits using 232key Plus. What are differentiated digits (a.k.a. an “auxiliary indicating device”)? This is supposed to remind the user that on these instruments, the actual scale interval (d) is a multiple of the verification scale interval (e). For the scale shown above, e is 0.1 g and d is 0.01 g. Since e is used to determine the maximum permissible error, we can consider the differentiated digit(s) to be less accurate (but that’s not the topic of this article). Some scales do not only visually differentiate the last digit(s), they also use a separator when transmitting them to a PC (or a printer). 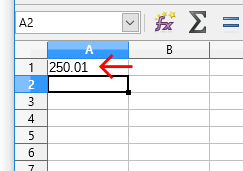 Instead of receiving a string like “250.01”, the software running on the PC would receive something like “250.0/1” or maybe “250.0”. Fortunately, you can easily fix this in the Plus version of our software in just two steps. Let’s continue using “/” (slash) as a separator for this example. 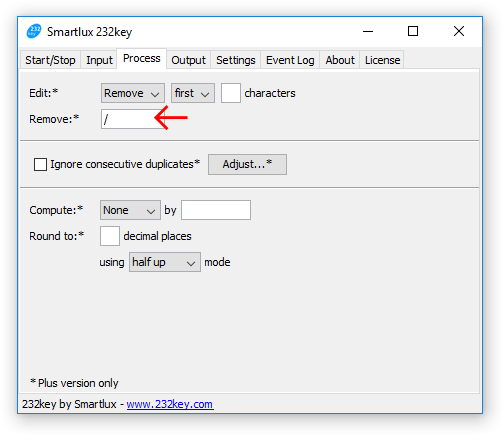 By default, most device profiles in 232key are meant to capture numbers and therefore 232key will stop capturing when it encounters the first non-numeric character. We have to change this behavior to make sure that 232key captures the digits preceding the separator, the separator itself and the following digit(s). 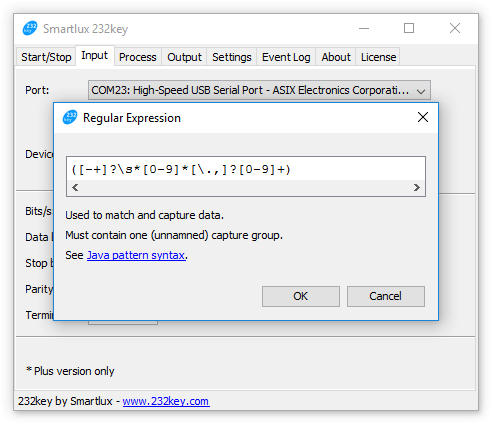 Depending on the selected device profile, the regular expression shown in the dialog might look different. What’s important is that it has to be expanded to include the separator and the differentiated digits. Thanks to the modified regular expression, 232key is now able to capture the entire value sent from the scale, including the separator. However, it would then either show a number format error (if we’ve selected a numeric device in the input tab) or type the data including the separator into the target application (if we’ve selected a text device). Both of these outcomes are not desirable. Obviously, you might have to adapt these instructions to match the separator sent by your scale. 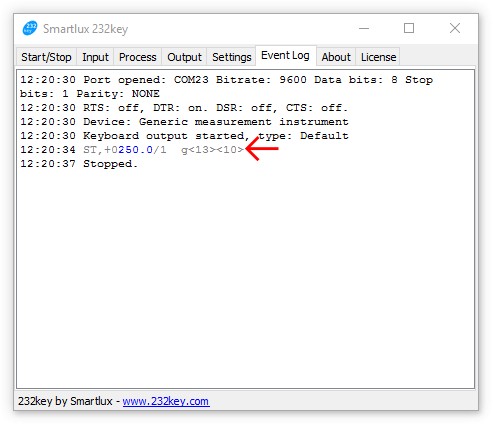 As mentioned, you’ll also need a paid 232key Plus license to enable the functionality shown in this article. Please don’t hesitate to contact us should you need a trial license. For assistance, please email us or post in our support forum.